Now that they've got their home base in Washington, DC, the Obamas are reportedly looking to Martha's Vineyard for a new vacation home. 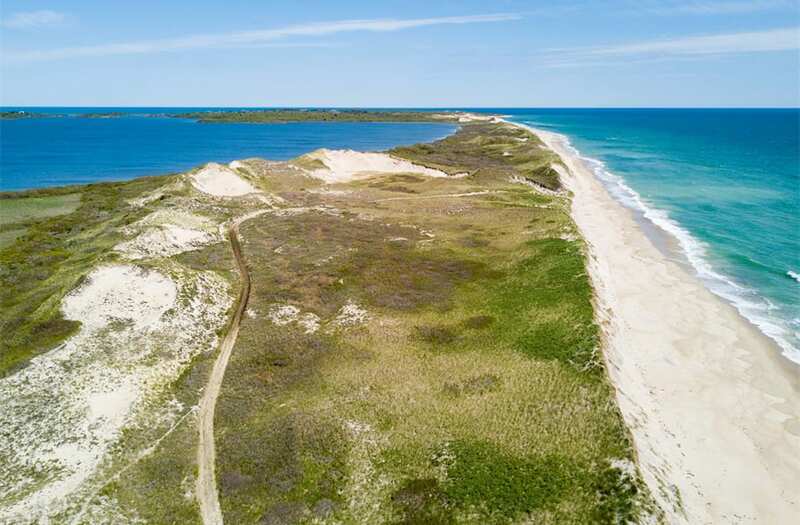 According to the Boston Globe, rumors are swirling that the former president and his family are house-hunting in the rural communities of Aquinnah, Chilmark, and West Tisbury, on the island off the coast of Massachusetts. As the rumors go, the Obamas are centering their search on a set of two parcels owned by Caroline Kennedy and her husband, Edwin Schlossberg. The two parcels were once one 377-acre estate, called Red Gate Farm, that was owned by Jacqueline Kennedy Onassis. Kennedy and Schlossberg divided the rural plot into two several years ago, and they're both currently on the market — one for $15 million, and the other for $12 million. It wasn't immediately clear which of the properties Barack and Michelle Obama had considered buying, or whether they were looking to buy both. Sotheby's International Realty, whose agent George Ballantyne is listing the properties with Hancock Real Estate's Deborah Hancock, did not immediately return Business Insider's request for comment. The two parcels are idyllic, with plenty of untouched land. There isn't currently a home on the property, which leaves it open to the new buyers — the Obamas or otherwise — to build a structure of their own design. There are roughly 1,000 feet of direct oceanfront land. It's in a relatively isolated part of Aquinnah, Massachusetts, on the part of Martha's Vineyard that locals call "up island." There's a 600-acre pond on the land, which, as the listing points out, would be ideal for "kayaking, canoeing, sailing, and fishing." The Obamas have often vacationed in this part of Martha's Vineyard in the past. If they do purchase a property on the island, they may become a more permanent fixture in the community. The Kennedy family's compound would certainly be a beautiful place to put down roots.